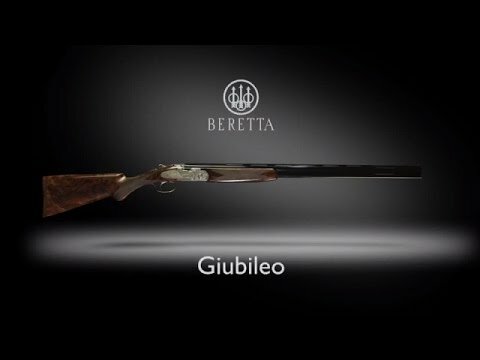 The Beretta Giubileo (Italian for Jubilee) is a triumph of looks and performance in a hunting over-under shotgun. 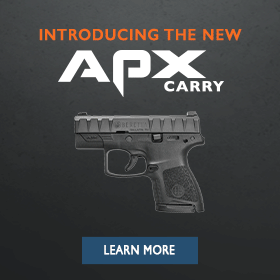 And it is no wonder that it is one of the most desirable choices for the uncompromising upland or bird hunter: besides having one of today’s most strikingly-beautiful actions, it is built to deliver premium-quality performance in the field or at the range. Available in 12, 20, 28 gauge or .410 (with scaled-down receiver sizes for the two smaller gauges) and with 26” or 28” barrels, it is nothing short of a status-symbol for the discriminating hunter. With the Giubileo, the number of hours of expert hand-chasing from Beretta’s engravers goes well over the double digits. The full sideplates of the Giubileo are covered with a wonderfully-proportionate engraving design that also extends to the shoulders, trigger guard, safety and top lever. The floral scroll engraving also contains a Renaissance-style shield containing the “PB” Beretta logo--a truly breathtaking arrangement that speaks of the company’s long tradition as well as the owner’s impeccable taste. And another feature that makes the Giubileo’s action unique is that it contains no visible screws, thereby giving the engraving a wonderful sense of artistic continuity. The stock of the Giubileo is of highly select walnut, chosen to blend beauty with durability. The stock is finished with Beretta’s own TruOil in several stages. After checkering, a first hand of oil finish is hand-rubbed to fill any pores that wood naturally has, and to give the stock a classic satin sheen. After this has dried, subsequent hands of oil are also rubbed on the stock to bring out the texture of the wood as well as to give a sense of depth to the finish for a truly premium look. But as with all things Beretta, the finish blends looks with function: the TruOil finish on the Giubileo is also designed to afford a good level of protection against the elements to a gun that just begs to be taken hunting. The Giubileo handles like a premium gun. It is repeatedly checked to ensure perfect balance and natural handling; the low-profile action and super-strong Steelium barrels are designed to offer hunters a gun that will swing and point like an extension of the eye. Besides 12 and 20 gauge, this shotgun is also available with scaled-down receivers for 28 gauge and .410; and if you find a 12-gauge Giubileo to be gorgeous, you just owe it to your good taste to handle a Giubileo in the smaller gauges, which have been rightfully called “a jewel.” If you are looking for a heirloom-quality shotgun that will give you as much pride of ownership as performance, the Giubileo is the perfect choice.